After playing the first round, Students will then record their data into a table or spreadsheet so that we can work out a ladder. This will teach students how to calculate percentages and how they are important for a ladder! 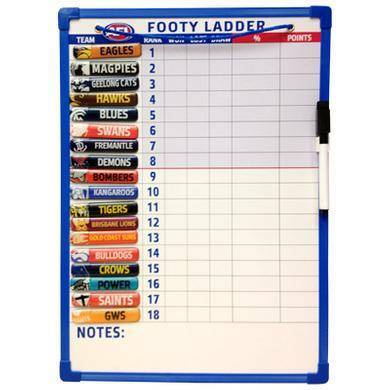 Start with the question: “How does the AFL record thier data about who wins and loses?”- Hopefully someone answers with, a ladder! 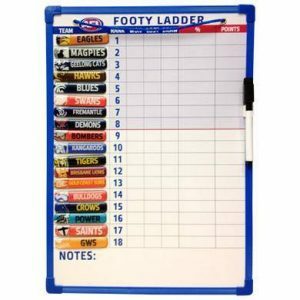 Brainstorm with the class, what does the AFL ladder look like? What sections is it broken into? After much discussion hopefully you come up with the follwoing sections: team, points, for, against and percentage. 4. 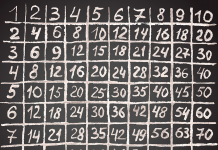 Establish to the students that you get 4 points for a win, 2 for a draw and none for a loss. Using Microsoft Excel- record all the teams in the excel spreadsheet provided and fill in after each round! Using their maths books to assess what they did well or not. Previous articleDice Football Part 3: Playing the Game!